- Improves flexibility, mobility and performance of the muscles. - Prevents muscle pain and typical injuries like muscle damage, occurring from overuse or repetitive movement. - Targeted recovery of the muscles and improvement of blood circulation. - Improves poor posture through balance work. 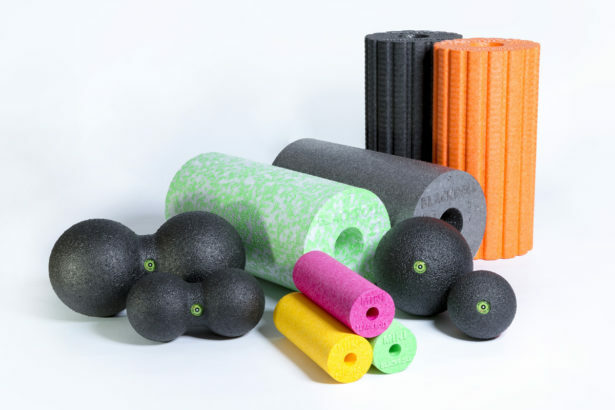 - BLACKROLL® allows for multifunctional use: workout and roll-out. - Actively enhances your fitness, performance and wellbeing, and avoids pain, such as typical (sport-related) injuries. In general we ask you to bear in mind that all BLACKROLL® products are used at one's own risk. Please find some information about contraindications here. - 100 % free of chemicals. - According to quality management DIN ISO 9001:2000. - Certified with the AGR-seal (excludes "BLACKR0LL® BLOCK"). - Heat stable (min. 110 °C). The most important objective for us at BLACKROLL® is to contribute to your health and wellbeing by creating high quality products. Besides your health we care much for the health of our natural environment. 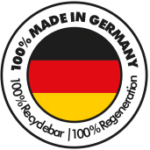 Most of our products like the rolls, DUOBALLS, BALLS and MINI are therefore produced in Germany in an intelligent and energy efficient manner. 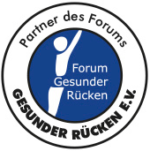 And they are certified by the AGR (Aktion Gesunder Rücken e.V.) for back-friendly products - www.agr-ev.de.